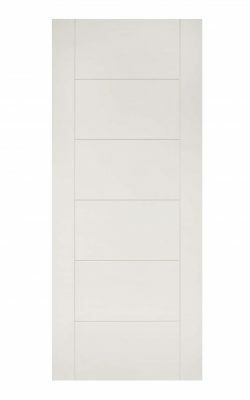 Deanta Seville White Primed UnGlazed FD30 Fire Door. One long central Fire Safety vision panel aperture. Ready for your own glazing. 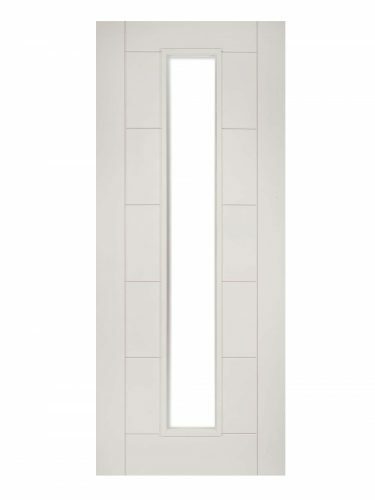 Contemporary flush geometric styling. Available as a Fire Door (45mm) version and as a Vision Panel Glazed variant. 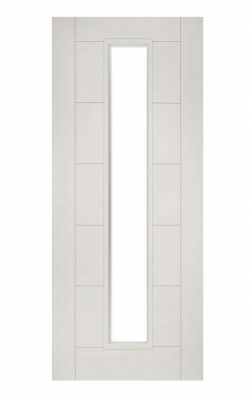 Also available in Oak veneer and Walnut.